Kia ora and haere mai, welcome to the 28th instalment of 9mm for 2018, and the 200th overall edition of our long-running author interview series. Today I'm very pleased to welcome New Zealand author Nikki Crutchley to Crime Watch. 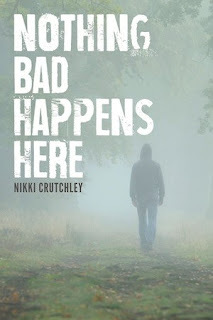 Nikki was named as a finalist in the Best First Novel category of this year's Ngaio Marsh Awards for her debut NOTHING BAD HAPPENS HERE, a murder mystery set in a seaside small town in New Zealand. Nikki is also a proofreader who previously working overseas at Oxford University Press and as a librarian in the UK and Ireland. She began her fiction writing career with ultra-short 'flash fiction' stories. 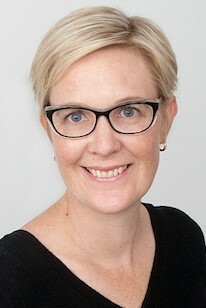 She was regional winner for New Zealand Flash Fiction Day in 2016 and 2017. A couple of years ago Nikki was in the audience for the 'Murder in the Library' series event held in association with the Ngaio Marsh Awards at Cambridge Library. This year she was part of that event as a published author! Her second crime novel, NO ONE CAN HEAR YOU, will be released later this year. On 1 September Nikki will be part of the free 'Murder in the Chamber' event at the WORD Christchurch Festival, where festival-goers have the chance to meet and hear from this year's Ngaios finalists. But for now, Nikki becomes the latest author to stare down the barrel of 9mm. Probably Lisbeth Salander. I remember reading The Girl with the Dragon Tattoo (and the subsequent books in the trilogy) and thinking how different Lisbeth was from the other heroes/detectives I’d read. Damaged and flawed but also tough and highly intelligent. Anne of Green Gables. It was given to me by my grandparents when I was eight or nine and every Christmas or birthday I got the next in the series. I still have all eight of them on my book shelf now. I think it was the first book that ever properly transported me and let me escape from my world. I had written quite a bit of flash fiction – short, short stories of 300 words (sometimes less). I was short listed for a few competitions and published in a couple of anthologies and online journals. The experience I got from flash fiction writing gave me the confidence to write my first novel. I love spending time with my family. In summer we love going to the beach, but Cambridge (in New Zealand) isn’t particularly close to the coast so we often have to make do with the town pools. I enjoy cooking and now the girls are older I get to experiment a bit more. I also love to travel – whether it’s in my own country or overseas. I love to read, and Netflix and I have a very good relationship! At the moment I’m watching a lot of Scandinavian and French crime miniseries. The Saturday Farmers Market in Victoria Square beneath the giant oak trees. Fresh veggies, homemade pickles, cheese, fresh baked bread and donuts … can’t get any better. Rosamund Pike – she was disturbingly good in Gone Girl. Or maybe Emily Blunt – equally funny and dramatic. At this stage I’d have to say Nothing Bad Happens Here – my first novel (and so far, my only, although my second is out later this year). 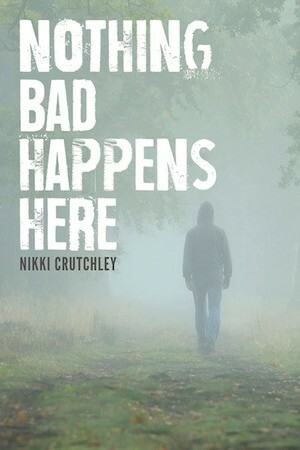 I really only wrote Nothing Bad Happens Here to see if I could actually write a book. After it was rejected by a couple of publishers (and after much debating and self-doubt) I decided to self-publish and I’m so glad I did. Finding out a I was a finalist for the Ngaio Marsh Award for best first novel was a massive confidence boost for me. People also really warmed to the main character, Miller Hatcher, and wanted to find out more about her and what was next for her, so because of Nothing Bad Happens Here I have a series of books planned featuring Miller. I’m self-published, but I think the best part of that journey was not so much seeing my book on the shelf of a book shop (but that was seriously fabulous), but when I went around visiting book shops to see if they’d stock my book. I was very uncertain about the process and how if they’d even take my book – especially with it being self-published. But the first two book shops I walked into each took on the book. I remember being really shocked and also over the moon that they were so enthusiastic about it. I was at an event celebrating Mother’s Day. I was with two other authors who wrote books on relationships, romance, travel etc, so my crime/thriller was a little bit left field. I was the last one to speak and afterwards the audience was allowed to ask questions. One woman asked me if I’d done much research for the book. I told her Google was great for looking up things like decomposition rates of bodies left outside and things like that. There was a collective gasp and some nervous laughter. Lesson: know your audience! Thank you Nikki, we appreciate you chatting to Crime Watch. You can find out more about Nikki and her writing at her website, and follow her on Twitter.